2. Create your Voki and Publish. 3. Select the size for your Voki and copy the embed code. 4. Log in to your WikiSpace account and click on Edit. 6. Click on Other HTML. 7. 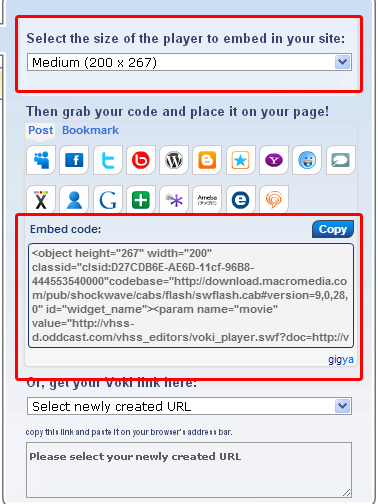 Paste your Voki’s embed code into the box. 8. Find src=”http://vhss-d.oddcast.com within the code. 9. Add “s” after http. 10. Click on Save and your Voki will appear!